I have posted before here about the exóticos,(evidently in order to not make Google mad that's all I can say. I can't tell you what an exotico is. So much for tolerance eh Google?) . This class of wrestler is not new, but dates back to the 1940s in Lucha Libre. I have done posts on Polvo de Estrellas and Pimpinela Escarlata here before and here is another exotico, Estrella Divina. Estrella Divina (Brandon Fernandez) was born on September 20th, 1994 and was trained by Black Silver and the legendary Gran Apache. He started out masked, but lost his mask to another exotico, Polvo de Estrellas on April 12th, 2015 in a match at Unidad Deportiva Jorge Campos. 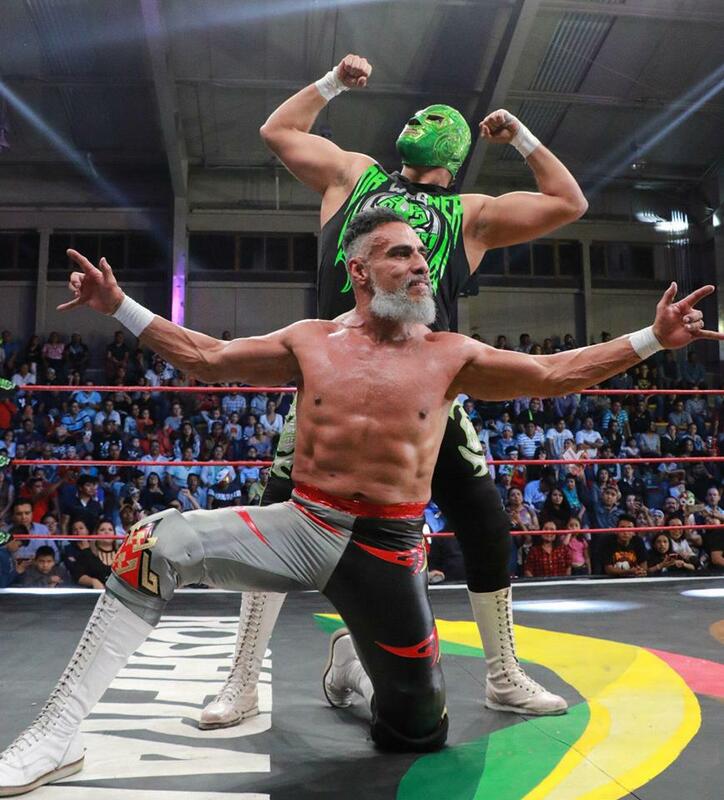 Juan Manuel González Barrón aka Dr. Wagner Jr.aka Rey Wagner and his son El Hijo de Dr. Wagner Jr.